This recipe will yield enough mustard to last the me the whole summer. You too, unless you're really into hamburgers and hot dogs. I was up early one morning, and since idle hands are the devil's playthings I decided to make mustard. Making homemade mustard is actually very easy and not at all time consuming. This is the classic yellow hot dog mustard that is such a staple for burgers and hot dog cookouts throughout the summer. It’s not as “lurid” a yellow as that we find in stores, but it’s close. I have no idea how they get that colour, and I probably don’t want to know. Mustard as a condiment has a very long history. Romans were most likely first off the mark. They mixed “must” (unfermented grape juice) with ground mustard seeds to make what they called “mustum ardens,” or burning must. That’s where our name “must-ard” originates. 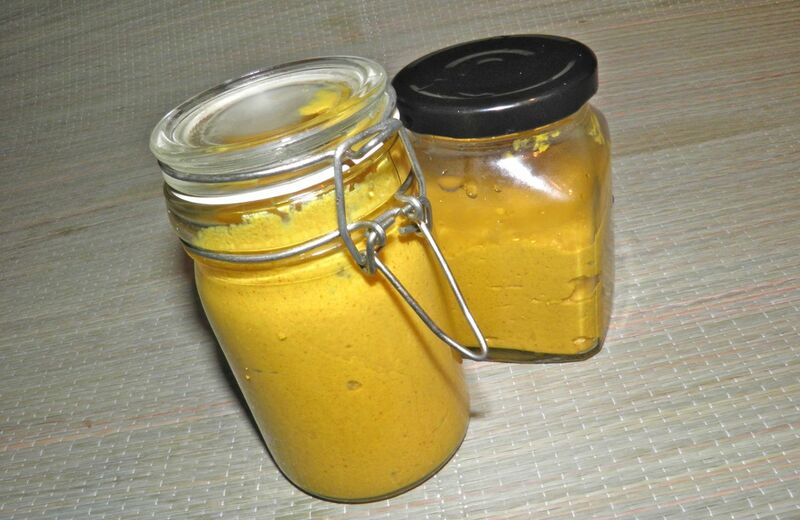 A recipe for mustard appears in a 4th or 5th Century cookbook called Apicius, that was anonymously complied at that time. It is one of the most complete snapshots into the culinary life of the Romans. There are some very interesting recipes in that book. I have an abridged copy. From the Mediterranean, mustard seeds were probably taken to France (Gaul). By the 10th Century monks were making their own mustards. Many of the famous French mustards most likely owe their early origins to monasteries in towns around the countryside. Of course all the European countries have their own individual versions of mustard, made not only from ground seeds but also cracked, or whole. Taste differences are accounted for in what is put with the seeds. This site contains several mustard recipes including Dijon (of course), Oktoberfest and beer thyme mustard, plus a couple more. On this side of the pond, the common use of mustard as a condiment was first introduced at the 1904 St. Louis World's Fair. The product? French’s Mustard, by the R.T. French Company. It is arguably the most common North American mustard purchased for hotdogs and hamburgers to this day. 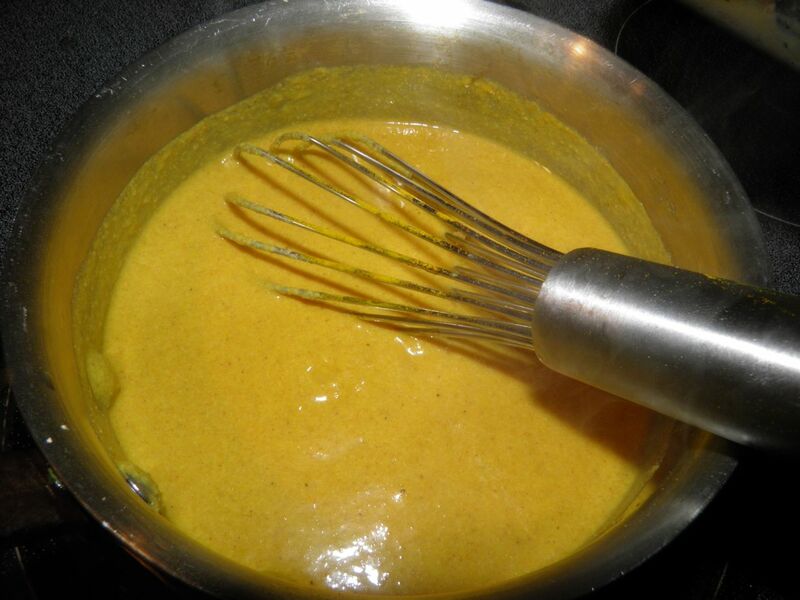 A version of this mustard is what we’re making today. Of course, like all mustards, this benefits from sitting for about one week, but it can be used immediately after cooling if you need. Combine all ingredients except for the cayenne and lemon juice in a small saucepan. Whisk until smooth and then bring to a boil. 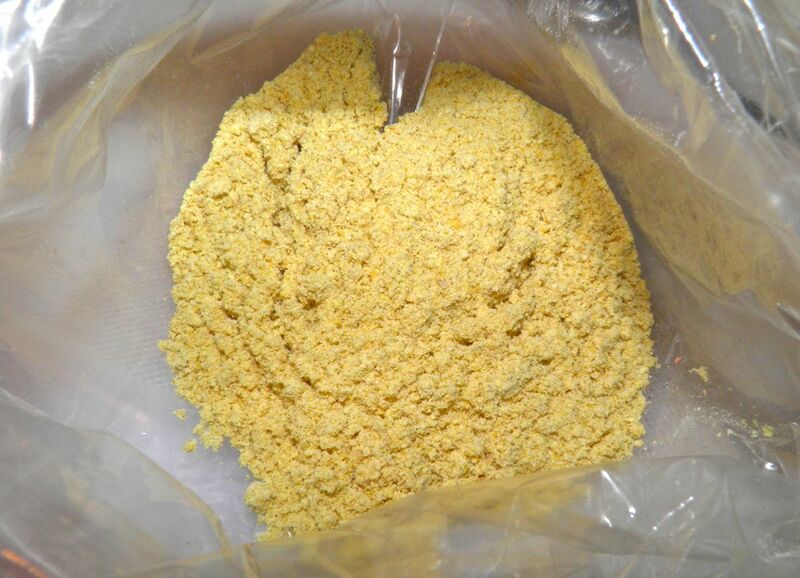 Regular mustard powder yields a mild mustard. Once the mixture boils, reduce the heat to medium and let cook for 10 minutes, stirring occasionally. Remove from the heat and let cool slightly. Taste for spiciness. 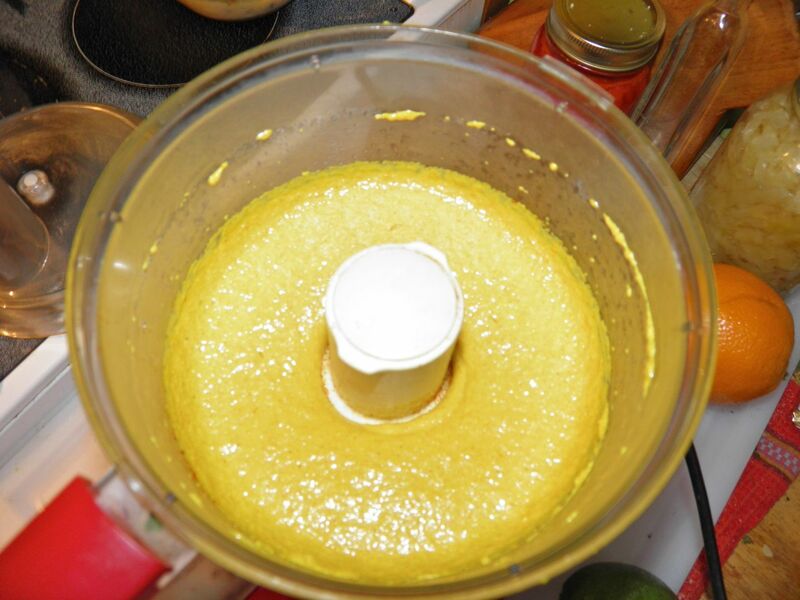 Pour the mustard into a food processor. 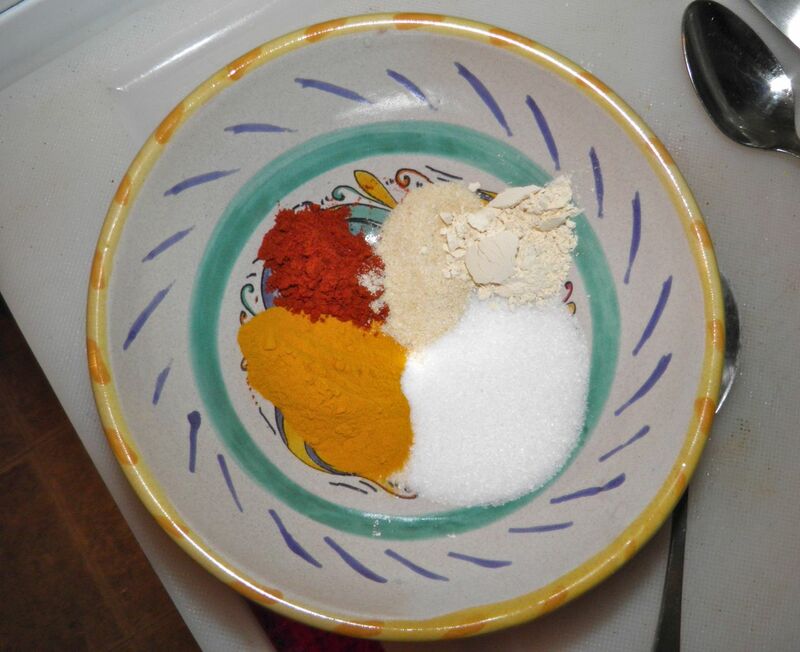 Add as much cayenne as you feel you want (if any), and the lemon juice. Purée for 2 minutes to mix well and smooth the mustard out somewhat. If the mustard appears a little grainy don’t worry. Sitting in the refrigerator will help smooth it out a little more. It will also thicken when cooled. Is this mustard so strong? What type of mustard you say that looks like? Dijon, English mustard...? I love Annie's organic mustard and I want get something like that. Hi. I'm not sure where you are located so I can't comment on Annie's Organic. We do not have it here, that I know. This mustard is your classic ballpark yellow hot dog mustard. Think French's or Heinz. It does have some kick, but no more than boring regular hot dog mustard.